Abstract: In the context of global climate change, variations in sea surface temperature, sea level change and latitudinal shifts of oceanographic currents are expected to affect marine biodiversity of the sub-Antarctic islands located near the polar front, such as the Kerguelen Islands, particularly in coastal waters. Sampling sites of previous oceanographic programmes focused on the Kerguelen Islands were revisited during three scientific summer cruises aboard the trawler La Curieuse (2011–2014). Among 18 coastal sites explored using scuba diving, 8 were selected for monitoring, as representative of the Kerguelen sub-Antarctic marine habitats, to be progressively equipped with sensors and settlement plots. Remotely operated vehicle (ROV) observations and beam trawling (at 50 m and 100 m) have also been used to contextualise them. Eight sites – in the Morbihan Bay (4), and in the north (2) and south (2) of the Kerguelen Islands – are now monitored by photo and video surveys, with temperature loggers installed at 5 m and 15 m depth, and settlement plots at about 10 m depth. Temperature data have been recovered yearly since 2011 at some sites (those equipped first). Biodiversity found on settlement plots will be characterised yearly by metagenomics. The often harsh conditions at sea involve using robust underwater equipment and simple investigation techniques and protocols to ensure the permanence and the reliability of the equipment installed. Abstract: An improved digital photogrammetry scuba survey method, using high resolution camera (14 mp, 60/90 cm, 0.63 m2 image size, 2321.5 pixels per cm2) was developed and tested in studies of the structure and distribution of infralittoral macroalgal communities in the SW Black Sea. Results obtained from cover estimation based on the point intercept method were compared and validated against contour outline estimation, determining the optimal number of sampling points necessary for reliable and repeatable results (100 points per image, 158 points per m2). Comparison of results on macroalgal community structure obtained from photo sampling and transect destructive sampling showed very similar results, confirming the photo method as a reliable approach. The application of high resolution digital cameras and semiautomated software packages for cover estimation of benthic species (CoralPointCount Extension) made this method significantly more effective and less time-consuming – both underwater and during the sample processing – than classical transect destructive sampling methods. The developed method was applied in experimental studies of changes in structure of macroalgal communities in an eutrophication gradient, as well as in the mapping of Zostera seagrass and Cystoseira macroalgal communities. Fishing traps are perhaps one of the least studied categories of archaeological remains in Sweden. Since at least the Mesolithic (10 000–5 000 BP), use of systematic fishing structures to harvest the sea of its resources is evidenced in the archaeological record. Such structures are often found in lakes, rivers and estuaries. Relatively often, Bohusläns Museum has, during underwater archaeological surveys, discovered previously unrecorded fishing traps that often fall within the time frame of Middle Ages (11th to 16th centuries) to the modern day (19th to 20th centuries). Such structures, therefore, are not just a peculiarity but more a regularity – in that they have had a widespread use in Swedish culture and livelihood. One such example of this is from Lake Gärdsken, Alingsås. Alingsås is mentioned in the written record from at least the 1300s although it not implausible to assume that the area had been settled previous to this. In Sweden, fishing has not only constituted a pastime or a profession, but has served as a complement to the household. Farmers for example, would often fish to support their meagre income or diet. Although fishing traps have a widespread use, form and geography, all have the same function – to catch fi sh. This article includes the case study of Lake Gärdsken, Alingsås. Bohusläns Museum (the provincial museum of the county of Bohuslän) has undertaken several archaeological investigations in the lake since 2009. The closed circuit rebreather (CCR) is not a new diving technology. From the late 1990s CCR units were commercially available in Europe, and increasingly more divers, and among them scientific divers, have been trained to use them. Even if many benefits exist for using CCR for all diving depth ranges, it is in the deep diving zone ranging from 50 m to 100 m of sea water where the main advantages to using this equipment exist. Using rebreathers does carry additional risks, and these must be mitigated to ensure safe usage. A standard for CCR scientific diving has existed for many years in the USA, and the levels of expertise within the European scientific diving community are now sufficient for a European standard to be established. National legislation for occupational scientific diving in many cases excludes CCR diving, which can limit its use for scientific purposes. 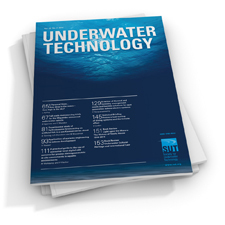 This paper suggests that, where possible, legislations should be allowed to evolve in order to include this type of equipment where and when its use has direct advantages for both the safety and the efficiency of scientific diving. 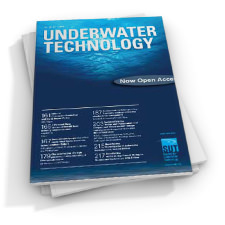 This paper provides a brief description of the fundamentals of closed circuit rebreather diving and outlines the benefits that its use offers diving scientists. 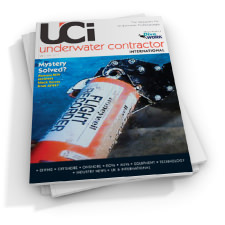 Special attention is given to safety issues with the assertion that the CCR concept is, if strictly applied, the safest available technique today for autonomous deep scientific diving purposes. To make the advantages of airlift pumps accessible for scientific divers working on geoscientific topics, the authors developed a mobile airlift pump that operates without any surface support. The device is powered by standard scuba tanks and has quite a slim design. Thus, it can be easily transported by scuba divers with lifting bags. The construction is based on the laws of Bernoulli and Boyle-Mariotte: a defined amount of gas supplied at the lowest point of a vertical, semi-closed system will expand while ascending and cause a negative pressure at the bottom. The development and practical testing was carried out in various lakes in Germany and in the Mediterranean Sea during fieldwork in the hydrothermal system of Panarea, Italy. There, chemical erosion led to sediment-filled cavities with diameters of several decimetres that are aligned along geological fractures. The removal of sediment is the main requirement to document the unique but covered lithological structures. Objects look very different in the underwater environment compared to their appearance in sunlight. Images with correct colouring simplify the detection of underwater objects and may permit the use of visual simultaneous localisation and mapping (SLAM) algorithms developed for land-based robots underwater. Hence, image processing is required. Current algorithms focus on the colour reconstruction of scenery at diving depth where different colours can still be distinguished, but this is not possible at greater depth. This study investigates whether machine learning can be used to transform image data. First, laboratory tests are performed using a special light source imitating underwater lighting conditions, showing that the k-nearest neighbour method and support vector machines yield excellent results. Based on these results, an experimental verification is performed under severe conditions in the murky water of a diving basin. It shows that the k-nearest neighbour method gives very good results for short distances between the object and the camera, as well as for small water depths in the red channel. For longer distances, deeper water and the other colour channels, support vector machines are the best choice for the reconstruction of the colour as seen under white light from the underwater images. Fibre optic cables can be used as sensors to monitor changes in temperature and strain through the analysis of backscattered light. This can be linked to changes in the ambient conditions surrounding the cable. Active distributed temperature sensing relies on an external heat source relative to the fibre optic cable to measure the properties of, and changes in, the surrounding medium. An experiment was conducted using fibre optic sensing technology to monitor changes in sediment overburden. Fibre optic cables were buried in a channel containing saturated sand and water with an external heat source. The depth of overburden sediment above the cables was reduced, while the associated temperature response along the cable was monitored. This paper explains the characteristics of heat transfer from an active heat source to the surrounding soil medium providing a means to translate from the temperature measurement to the associated overburden thickness. The techniques used here are intended to be applicable to measurements of seabed scour above buried power cables. This paper presents the electro-thermal modelling and simulation, done on standard Kevlar-armored subsea electro-optic cable based on the finite element analysis (FEA) approach, to determine the cable ampacity when operated in air, water and buried in the seabed under the relevant ambient environmental conditions. Compared to the ampacity in air at 30 ºC, the ampacities in air, water with no flow condition and seabed buried conditions with a thermal conductivity of 0.8 W/m-k could be 1.37 times, 1.57 times and 1.5 times, respectively, at an ambient temperature of 5 ºC; and the same could be 1.13 and 1.36 and 1.31 times, respectively, at 20 ºC. Under the influence of convective ambient flow fields, the ampacities could be increased only up to a maximum of 9% and 3%, with air and water flows of 20 m/s and 5 m/s, respectively. The results serve as a guideline for determining the cable ampacities for various environmental applications, based on the available cable current rating under specified ambient operating conditions. New offshore projects are targeting water depths of over 3000 m far from the land, and the preferred option for field development is deepwater structures, which include subsea equipment and pipeline systems. 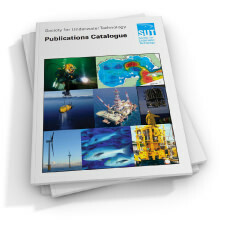 Many publications are focused on the deepwater structure installation technology in order to understand the behaviour of structures during installation and to control the installation process safely. 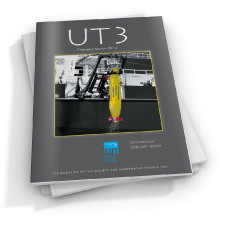 In this paper, the installation solutions backed by engineering tools and numerical simulation methods are presented and discussed for subsea equipment and pipelines, respectively. The corresponding latest advances in the installation technologies are presented, together with their main characteristics and critical challenges. The authors also discuss general trends in future development that may result in further advances. A shipwreck, designated as Ma‘agan Mikhael B, was discovered in 2005 by divers about 70 m from the shoreline and at a depth of 1 m, embedded in sandy seafloor sediments. Soon after, the shipwreck was lost in the sand. In May 2015, it was located in a survey with a chirp sub-bottom profiler, and a water-jetting survey in August 2015 confirmed its’ position. This paper discusses the detection of the Ma‘agan Mikhael B shipwreck using a chirp sub-bottom profiler.